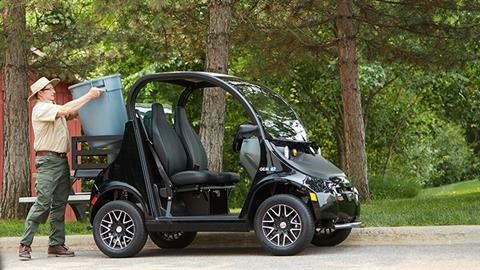 The GEM e2 is your golf cart alternative. 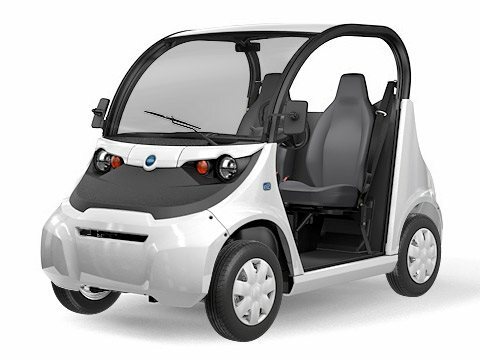 This street legal vehicle offers the most nimble performance with its tight turning radius and small footprint. Drive around campus or the neighborhood with GEM e2. STREET LEGAL: A low speed vehicle (LSV), GEM is legal to drive on roads posted up to 35 mph in most states and provinces. SPACIOUS AND COMFORTABLE: Enjoy your ride with high back forward facing adjustable seats, 43" of legroom and almost 6" of suspension travel. 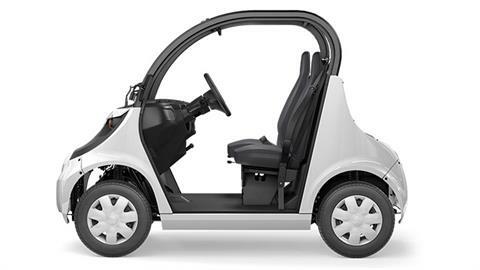 SAFETY FEATURES: With 3 pt seat belts, LED turn signals, and an automotive glass windshield, GEM offers more safety features than golf carts. 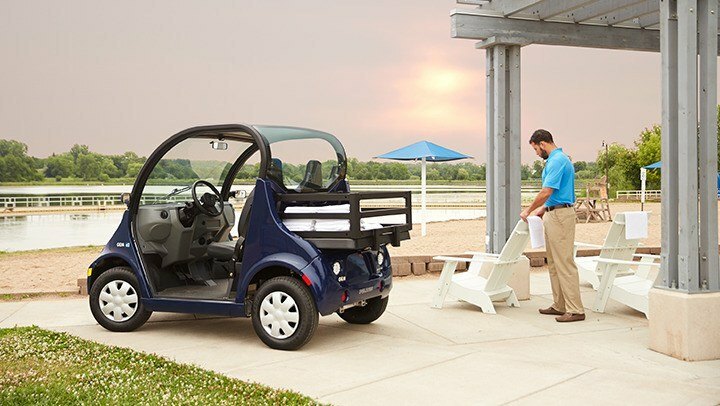 CUSTOMIZABLE: GEM offers a variety of interior and exterior accessories that allow you to work smarter and travel more comfortably. 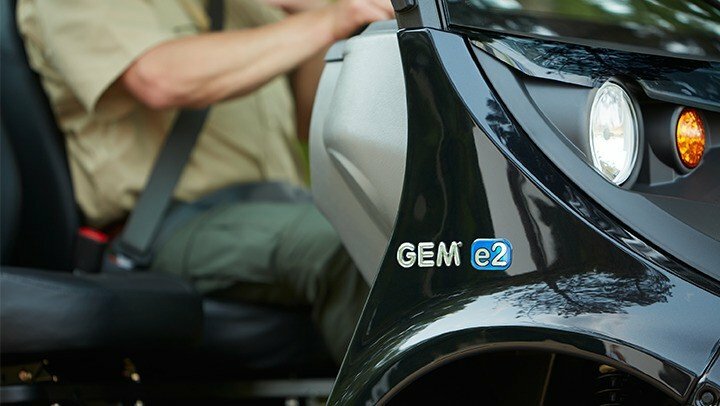 $.03 PER MILE OPERATING COST: Unlike full size cars and trucks, GEM utilizes low cost electric energy with minimal maintenance needs. 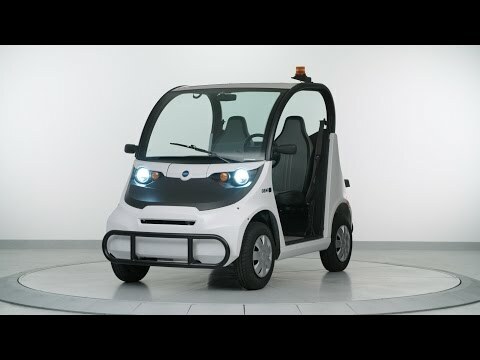 SMALL CARBON FOOTPRINT: With GEM, a big payload leaves a small footprint. GEM vehicles have zero emissions and are completely sustainable. 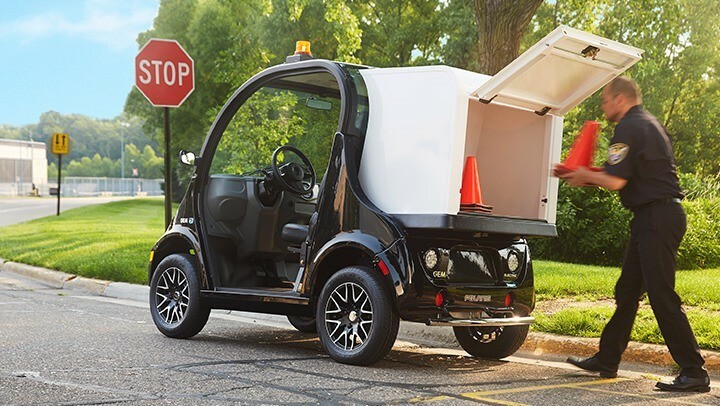 Polaris® LSVs comply with the NHTSA Low-Speed Vehicles rules and regulations and can be operated on many streets with posted speed limits of 35 mph or less. Check local laws regarding street use and vehicle equipment requirements. Drivers must be at least 16 years old with a valid driver’s license. Driver and passengers should always wear seat belts.